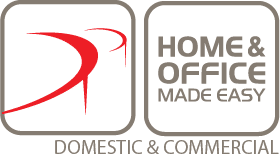 For over 15 years Home & Office Made Easy has specialized in the design and supply of quality home office furniture. With more people working from home than ever before, owner / Director Frank Gessler saw an opportunity to supply made to measure furniture tailored to each individual’s requirements. Originally a mobile business, the first showroom in Hawthorn East, Victoria opened in 2002. Over the years we have developed and fine-tuned our exclusive ranges of locally manufactured furniture including Elements home office furniture, Federation Bookcases and Entertainment Units, and our Paragon modern Entertainment Unit range. Each range bridges the gap between modular and custom furniture, making the process easier for our customers. We continue to develop and expand our ranges while always providing the exceptional service that we are known for. Click here to download our Warranty information. Just wanted to thank you and you team for the terrific service you gave me from day 1. Even the boys who installed it all were great. I have had people from media come to my office since and they immediately asked about your company. I will recommend you to whoever asks. So thanks – you guys certainly made it easy! I just wanted to let you know we are very happy with our new desk. It fits the space perfectly and lifts the whole room. Thanks for all your help. I am writing to let you know how pleased I am with my ‘Home Office Made Easy’ furniture. It was a great relief to find you showroom after scouring the department stores without luck trying to find furniture to meet our needs. The choice of desks and modules you provide made it easy for me to put together a package to satisfy all of my requirements. The end result is quality furniture at a modest price which fits neatly into the space available. The little extras such as the cable tray and mobile computer tower put the icing on the cake and assembly of the items was a breeze. Just a short note to let you know the excellent service we received from Dylan during the recent construction of our bookcase and filing drawers. Frankly, doing anything around the house is usually a nightmare but Dylan was responsive and made sure everything was done right the first time. He was also friendly and very helpful with any enquiries we had. We are also delighted with the product we have received. We also thought it was excellent value for money. This is to let you know how happy we are with the office installation. It looks just great and exceeds all out expectations. The men who installed the equipment were polite and efficient and helpful and completed the work in a most professional manner. The whole exercise took only a couple of hours and they arrived when they said they were going to arrive. I would have no hesitation whatsoever in recommending your company to anyone who may want to have a beautiful home office installed in their home.